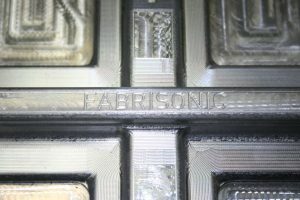 While the price question occasionally frustrates the Fabrisonic staff, it is a great opportunity to educate customers metal 3D printing. 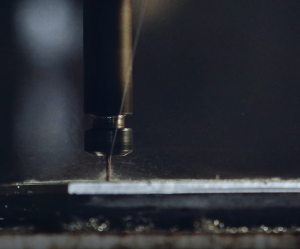 If you think about it, a part that has been CNC milled for the last ten years was most likely designed with CNC milling in mind. Thus, all of the dimensions, shapes, features, etc., have been optimized to increase the efficiency of producing that part on a CNC mill. Extending this thread to other manufacturing processes, if a part has historically been a weldment, then it stands to reason that the design has been optimized specifically for a sheet cut/bend/weld process. In the majority of cases, 3D printing is not a panacea that automatically lowers cost of existing parts. Click here to download our design guide which delves deeper into our process and also, answers our most frequently asked questions. The patented technology has several unique capabilities impossible with traditional manufacturing. 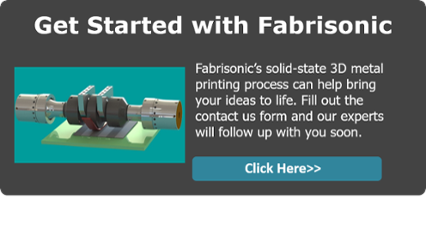 We find the easiest way to facilitate the 3D printing design process is for Fabrisonic employees to engage with designers. It is extremely valuable having a process expert and design expert in the same room, so the team can quickly learn each other’s constraints and drivers. The key to success with 3D printing is to design parts with 3D printing in mind. Just like any other manufacturing process, if we want to 3D print the part, we need to optimize the part for 3D printing. That means considering the strengths of the process, such as geometric freedom, embedded electronics, and multi-material capabilities. Have an additional question about how UAM could improve your process? 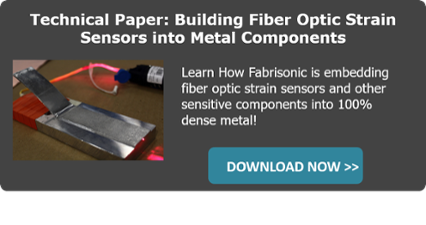 Click the button below to Get Started with Fabrisonic and our team will be in contact with you soon.